If you think conservatives are freaking out over the growing prospects that health care reform will, in fact, happen, wait until you see the freakout over climate change. You see, a snowy winter in the northeast United States was supposed to have proved the climate sceptics right, after all. 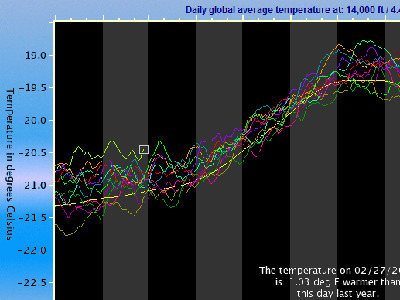 But a funny thing happened while they were celebrating: globally, this is shaping up as the warmest winter on record.